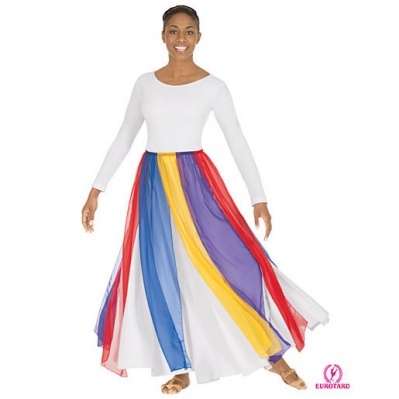 Multi color streamer skirt/top with an elastic opening. 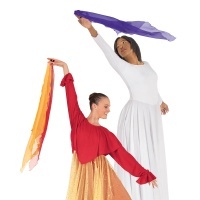 Shown with Eurotard Liturgical Dress (SKU #13524). Adult "One Size Fits All" (elastic opening stretches from 24" to 40") and Child "One Size Fits All" (elastic opening stretches from 21" to 37"). Length is approximately 38.5" long in the Adult sizes and 29.5" in the Child sizes.